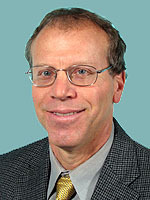 Dr. Bier earned his medical degree from the State University of New York. He completed his Internal Medicine residency as well as a fellowship in both Cardiology and Interventional Cardiology at Brown University and Rhode Island Hospital. A diplomate of the American Board of Internal Medicine with subspecialty in Cardiovascular Disease and Interventional Cardiology, Dr. Bier is a Fellow of the American College of Cardiology. He is certified in Nuclear Cardiology by the American Society of Nuclear Cardiology and in Coronary CT Angiography by the Society of Cardiovascular Computed Tomography. He has served as an Assistant Professor in Medicine at Boston University School of Medicine and an Assistant Clinical Professor in Medicine at Tuft’s University School of Medicine. He is a past Chief of Cardiology at St. Luke’s Hospital, New Bedford and is currently Assistant Director of Interventional Cardiology at Southcoast Hospitals Group and Director of Cardiac Rehabilitation at St. Luke’s Hospital.